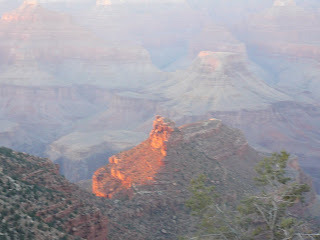 for our family vacation we camped for a week at four different national parks. we had a lot of fun and made good memories. 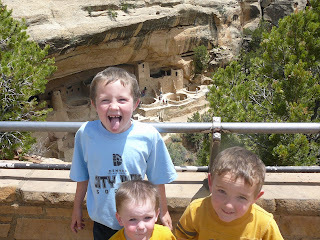 and it was a little crazy, but the boys were very patient and everyone slept well--two very important ingredients. 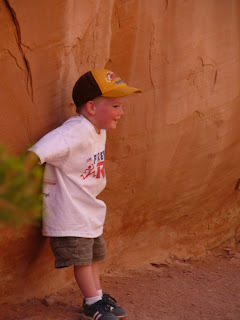 we first went to arches n.p. and met gma and gpa ridge. 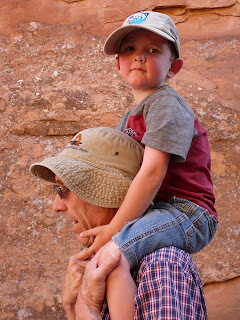 we hiked to a few arches but got very hot and tired...and the hike went on and on. 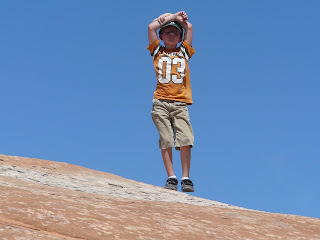 we found out later that it was 105 degrees while we were hiking on red slick rock. not to be recommended. afterward we cooled off in gma and gpa's new trailer. we took baths in their tub and left a good ring around it. 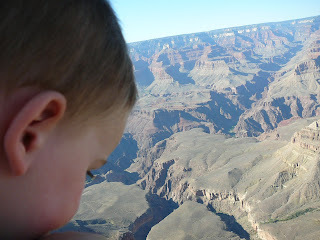 next we went to the grand canyon in arizona. that is one big hole! 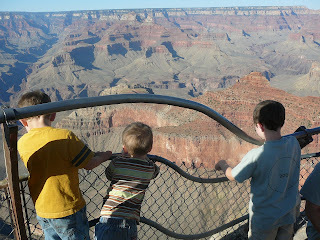 adam was very nervous the whole time that one of his younger brothers would fall in. but we all somehow survived. we also met some new friends (7 and 4 year-old girls) at the campground and they entertained us a lot with tree houses and learning the ways of girls. very different! 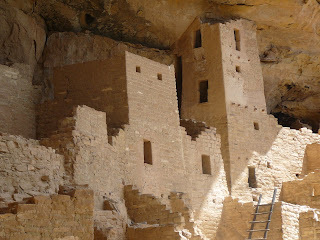 we were all now ready for a shower and some clean laundry so we headed to mesa verde n.p. where there were facilities we could use. 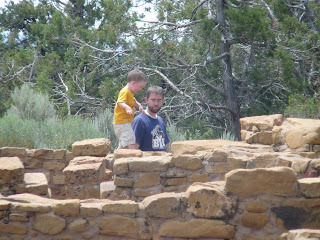 we enjoyed climbing around the ruins there and pretending we lived there 1500 years ago. and being clean. at least mom did. 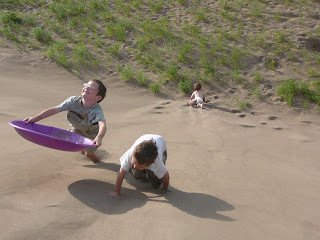 and finally we arrived at the great sand dunes n.p. but by now we were pretty travel weary. 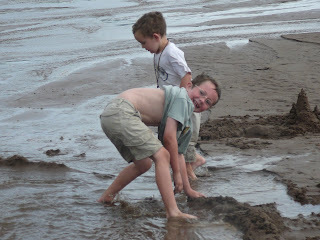 after erik spewed all over amy and we ran out of formula and clean clothes, we were getting a little tired of vacation. but the final straw was when amy carried joey on her back for half a mile back to camp to get the van and then found out that she didn't have keys. 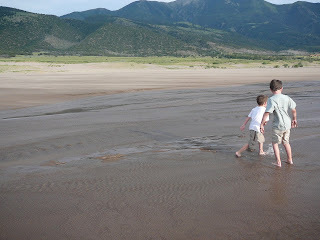 she then hiked another mile and a half over the desert to catch back up to the rest of the boys. dad took the keys back, threw everything in the van and we were out of there. but we did have some fun there and decided that we want to go back sometime soon. the boys quickly fell asleep in the car and we arrived home at 1:00 in the morning a day early. we were very excited to sleep in our beds and to not to have to put up the tent again.